Much has been written about the desire to increase student interaction and engagement in large lectures. This paper presents a further phase in a study that is being conducted into the use of Prevailing Personal Social Technologies (PPSCTs) to increase student engagement in large lectures. PPSCTs have been defined as being technologies that students personally own and use for social communication. Over the period of the study the PPSCTs at the focus of the study have moved from text message based systems in 2010 through to the use of applications on smart phones, tablets and laptops from 2012 to 2014. This phase of the study presents the results of four cases where lecturers use PPSCTs with the aim of increasing interaction and engagement, and presents these results from the perspective of the lecturers. The findings of this phase of the study suggest that lecturers perceive student interaction and enjoyment to increase as a result of using PPSCTs in lectures and identify a number of different modes for their use. Particular key aspects identified in the success of the approach include anonymity of student responses and the ability of the lecturers to give feedback in real time. Trevor Nesbit is a Senior Lecturer in the Accounting and Information Systems at the University of Canterbury where he was first appointed in 2009. 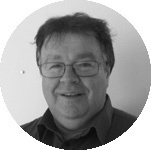 Prior to this he taught computing and business related subjects in the ITP sector for 18 years at Aorarki (Timaru) and CPIT (Christchurch). He completed undergraduate majors in Computer Science, Mathematics, Operations Research and Accounting, a masters degree in Management and is on track to submit a PhD thesis relating to the topic of this paper in 2015. 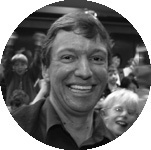 Tim Bell is a professor in the Department of Computer Science and Software Engineering at the University of Canterbury. His main current research interest is computer science education. His "Computer Science Unplugged'' resource for students of all ages is widely used internationally, and its books and videos have been translated into about 18 languages.